My college roommate Rachael is serving in Cambodia. I have posted about her before, but feel led to share this part of her story. 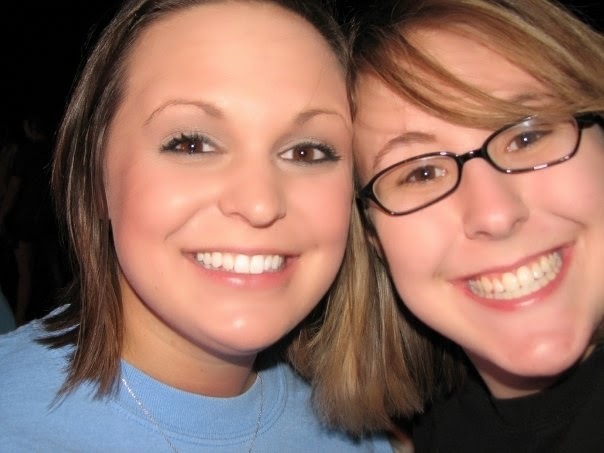 Me and my Rachie…back in college. Rach has a heart for Cambodia. She first visited for a month on a longer world hopping mission trip…and she fell in love and did EVERYTHING she could to go back. She is teaching English and sharing the love of God in Cambodia. She and her ministry partners use their English classes as a way to meet local youth. They get to know them, and they eventually invite them to their worship services. Rachael is seeing amazing growth in the faith of these Cambodian youth. However, they are in need of a few things. First, they need a $500 project to aid in their worship services. They will also use this projector for fellowships to show movies. But imagine not being able to see the words to your worship songs…they need this to help the Cambodian teens/young adults worship. Rachael is also planning a trip back to the states in September. She will have been overseas for 1 year and 10 months…and is hoping to spend the holidays with her family. She is needing $2000+ for travel. If you can help in ANY way….please go to www.worldoutreach.org and select “Allen, Rachael Cambodia” in the dropdown. Anything you give goes directly to Rachael to help her ministry, and to help her return home. Please give anything you can. If you want to be put in touch with Rachael, I would love to connect you.